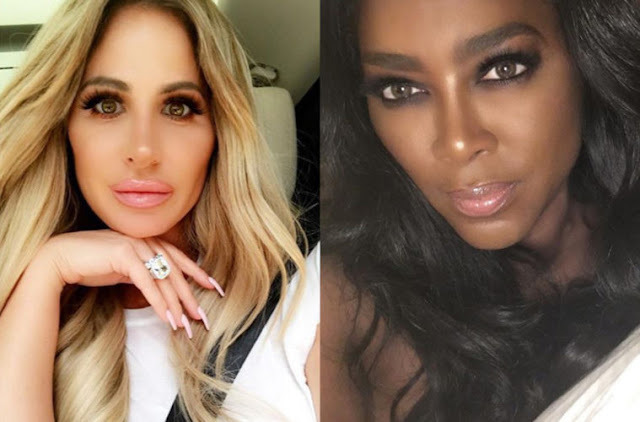 Reports recently surfaced Kenya Moore insulted Kim Zolciak’s by mentioning her “injured son” during a Nene Leakes “Gurls and Gays” white party over this weekend. Now, Kenya is clearing those rumors claiming she never mentioned Kim’s son! TMZ reported Kim and Kenya allegedly got into a brawl after a few heated words were exchanged during the party. Kim reportedly told Kenya her marriage was fake. Kenya told Kim she “pimped out her daughter for John Legend tickets.” Castmates claim Kim thought she heard Kenya say “your injured son” and then reportedly attacked Kenya.